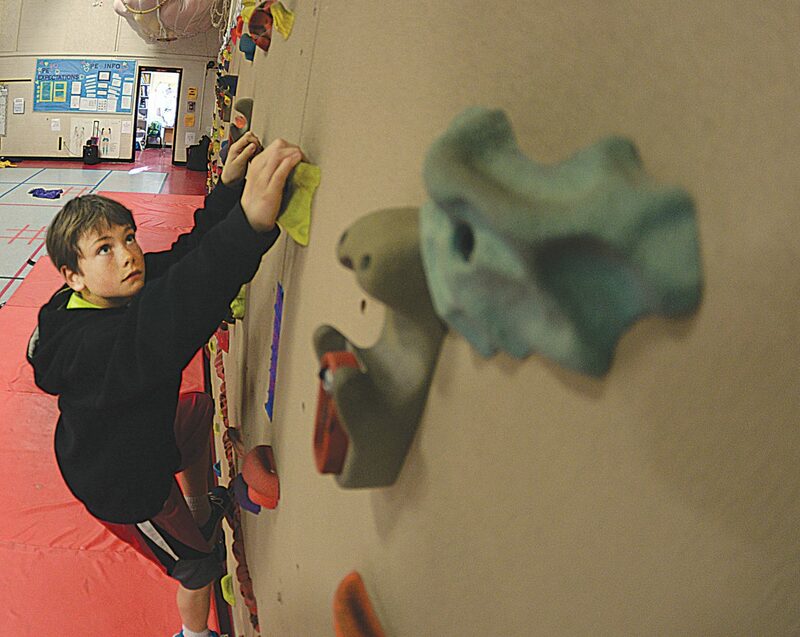 Fifth-grader Orion Gibbs uses the climbing wall at Strawberry Park Elementary earlier this month. The Education Fund contributed $5,000 each toward climbing walls at each district elementary school. — Allocation percentages were based on a three-year history of actual grants awarded and will be reconsidered on a regular basis. Who's on the Education Fund Board and Grant Commission? The Education Fund Board consists of 11 voting members, including nine at-large members and two who also serve on the Grant Commission. There is also a non-voting representative from each of the county’s three school boards. Members serve two-year terms and are appointed by board vote. Applications are accepted for each open position. The Grant Commission also consists of 11 voting members, including nine from Steamboat Springs and one resident each from Hayden and South Routt. New Grant Commission members are appointed by the Education Fund Board after recommendation by the Grant Commission. Currently, the Education Fund Board and Grant Commission are seeking new members for the 2016-17 year. Applications can be found on the Steamboat Springs Education Fund site, steamboateducationfund.org. Find a list of current board and commission members here. Steamboat Springs — For more than two decades, anyone who shops in Steamboat Springs has paid a half-cent sales tax for education on purchases made inside city limits. 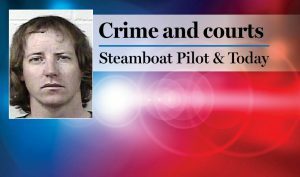 In its infancy in the early 1990s, the tax was generating about $1.2 million annually to be spent on growth and technology in the Steamboat Springs School District. Because a school district cannot levy its own sales tax, Steamboat’s tax is collected by the city and dispersed by the nonprofit Education Fund and its board and commissions, which have taken on various forms in the past 23 years. Today, the tax, which was approved by voters in 1993 and renewed three times, in 1996, 1999 and 2008, generates as much as $3.5 million annually and is shared by Steamboat, Hayden and South Routt school districts, with Steamboat always receiving the lion’s share of the revenue. While the premise of the tax sounds simple, decisions for how to spend the money have not always come easily, and some think the relationship between Steamboat Springs School District officials and the members of the Education Fund Board and Grant Commission has become increasingly tense. Those affiliated with the fund and the district have said the ultimate goal is to do right by the students of Routt County, and there’s no doubt the millions of dollars given to support local education has benefitted students in countless ways. But can these organizations find a way to respect the differing opinions of their members before voters must decide whether to renew the tax? A black-and-white photo in the Nov. 4, 1993, edition of Steamboat Pilot shows a bundled-up, 2-year-old Jena Walker, holding a picket sign with the words “Vote Yes on ‘C’ For Me,” alongside a story with the year’s election results. Voters that November overwhelmingly voted in support of Referendum C, which increased Steamboat’s sales tax from 4 percent to 4.5 percent, with 1,301 voters, or 57 percent, in favor and 839 voters, or 39 percent, opposed. By the following spring, a nonprofit, 11-member Education Fund Board was established, along with two commissions to further study district needs — the growth commission and the technology commission. The growth commission’s goals in 1994 were to keep class sizes in the district below 25, pursue the purchase of land for a future school site and expand the district’s school bus barn. 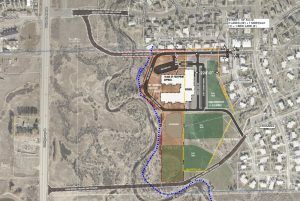 Early purchases included two $60,000 modulars at Strawberry Park Elementary, a refundable $100,000 deposit to secure a purchase option at a new school site off Routt County Road 129, one year’s salary — about $35,000 each — for five new teachers, a cost the commission said the district would ideally absorb in the future. With computer use increasing across the country, the technology commission was busy requesting approval from the Fund Board for the purchase of enough Macintosh computers to put one in every elementary classroom, create a 25-computer lab at the high school and provide a local link to the internet — a futuristic computer service that was “offering access to information from around the world,” according to early technology commission members. The roughly $1.2 million in taxes collected was divided, with 40 percent spent on growth, 40 percent on technology and 20 percent on needs in either area. While tax revenue has increased through the years, the process of dispersing the sales tax remains relatively the same today as it was in the 1990s. District staff present requests to the Education Fund’s single Grant Commission, whose members vet the requests and make recommendations to the Education Fund Board on whether or not to fund each item. “The school district has to prove the need and prove that it’s a good use of taxpayer money,” said Kristi Brown, a longtime member and former Education Fund Board president. Today, the Education Fund’s Grant Commission hears requests from Steamboat, Hayden and South Routt school districts, thanks to a decision by voters in 2008 to share an unspecified portion of sales tax revenue with neighboring districts whose residents often shop in Steamboat. The majority of Steamboat’s requests the past few years have been to cover the salaries of 16 teachers, keep class sizes low, and fund new technology to replace outdated equipment. Other requests have supported staff professional development, as well as gifted and talented and English language learner programs. Hayden’s and South Routt’s requests typically include technology upgrades, and South Routt has included an ongoing request for a part-time science teacher. The commission also uses a small percentage of the tax to fund requests from local nonprofit community groups that collaborate with the districts and requests from teachers who seek small amounts of money to fund innovative projects. Amounts allocated to community groups and innovation grants fluctuate each year, but together have hovered at about 5 percent of the Education Fund’s overall budget. “I think the thought behind opening up the fund to community groups, is that there is expertise in the community and resources available that the schools don’t have in-house,” Brown said. Community group grants often include funds for Rocky Mountain Youth Corps’ Yampa Valley Science School, Partners in Routt County’s school-based mentoring program and Yampatika. Innovation grants were introduced more recently as a way for teachers and staff to request money for small-scale innovative ideas for their own classrooms. Recent grants have helped fund a structural engineering course, an outdoor classroom, alternative seating, a Makerspace and field trips. Brown, who first served on the Education Fund’s former capital commission, said innovation grants are important, because they represent ideas that otherwise might not be funded by district administration. 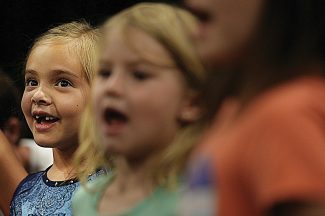 Every request is vetted by the Grant Commission, which considers innovation, community group and district grants separately through the course of a school year. The Education Fund no longer has a dedicated capital commission, though in the past, such a commission funded or helped fund the high school’s turf field, a playground, climbing walls at each elementary school, the middle school entryway addition and other tangible capital projects. 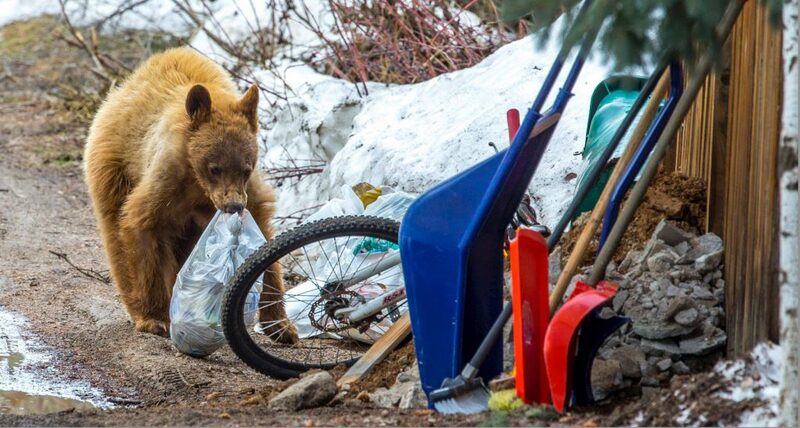 “I like how visible those things are to the community,” Brown said. Last year, the Fund Board considered using several hundred thousand dollars in excess reserves to start a new capital fund, but instead, the money was spent down in additional district requests, including more than $300,000 to fund all-day kindergarten costs for the current year — a request hailed by the commission, board and community as a positive move for students. But with the fund’s additional reserves now spent down, the district was left to make cuts in both its request to the Education Fund and its overall budget for the upcoming year, including letting go of its request to fund all-day kindergarten. A difficult budget year has left district administrators thoughtfully considering how the tax revenue is shared. “I think every district wants more,” said Steamboat Springs Superintendent Brad Meeks. A new allocation model was put in place this year to take out some of the competitiveness between districts and groups by letting them know ahead of time the money they can expect to receive. But even with the specified allocations, district officials still seem to want more control over how the fund’s money is spent. And some commission and board members have said they are finding their roles in the grant process less meaningful and their input regarding district requests less appreciated. 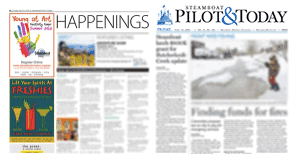 This year, tension between the Education Fund’s commission and board and Steamboat Springs School District administrators about how the money should be spent came to a head, when the Grant Commission considered an unusually large request from community group Partners in Routt County. Funding the $97,000 request meant the commission would need to go above the newly set community group allocation of 5 percent of the fund’s total budget. When the commission suggested funding the Partners request by taking a fraction of a percent of the money otherwise allocated for districts, local district superintendents were frustrated. 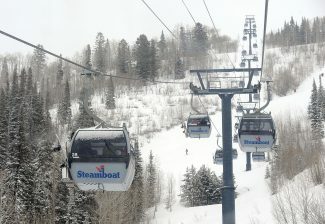 “Twenty or thirty thousand doesn’t sound like a big thing, but during these tough budget times, it is a big deal,” Steamboat Springs Superintendent Brad Meeks said. Education Fund Board members felt it wasn’t the district’s place to question how the money is allocated to different grants, which wasn’t part of the ballot language for the tax and is currently decided by board discretion, and Grant Commission members thought the Partners request was “student-facing” and a worthwhile grant to fund, regardless of where the money came from. In contrast, the Steamboat Springs School District initial request to the Education Fund included on underground conduit to save costs on the internet network, which commission members argued wasn’t a grant request that would directly impact a student in the classroom. When the Grant Commission sent the Partners request to the board for approval, Meeks fired back by threatening to not allow the Partners program into the district next year if it were funded with money that would otherwise go to district administration to spend. The conflict led to a sit-down meeting with school district administrators and Education Fund Board leaders. “Now, everybody has put their issues on the table,” Jones said. Fund Board leaders expressed the commission’s and board’s desire to fund student-facing programs and enhancements. “Our mission is student-facing academic achievement and conduit is a reach,” Jones said. And district administration said while they partner with community groups regularly, they wanted the opportunity to have a say in how community groups are funded to avoid the wrong programs earning grants or being overlooked. “I think everyone needs to hear each other better,” Jones said. While Jones said the meeting with district administrators was productive and put many of the issues between the groups to rest, Massey said the Grant Commission still is struggling this year to see its role in the grant process. During the current grant cycle, Steamboat Springs School District asked for exactly the amount in grant requests that would equal 80 percent of the total fund budget, leaving no room for input or need for decisions by the commission. “They don’t want our judgment. They don’t want our prioritization. And it’s been getting worse and worse and worse,” Massey said. Massey, Brown and Jones all think the district would prefer to forgo the entire grant process and simply receive a check from the Education Fund, an arrangement Meeks said he would also prefer. But the three board members are quick to point out the board and commission have a responsibility to the community to provide a system of checks and balances and make certain the money is being used wisely. Brown said the Education Fund aims to be independent of the district, representing the community and making sure taxpayer dollars are spend efficiently and effectively. Meeks said while he respects the commission’s desire to ask for more information about grant requests and educate itself on the district’s programs, the accountability lies not with the board but with the district, in the form of test scores, graduation rates and student success. “And that needs to be respected,” Meeks said. Beginning next year, districts will have the ability to rank community group and innovation grant requests before they are vetted by the Grant Commission. The commission can weigh that prioritization but will still have the final say as to which grants are funded. The Fund Board also hopes to better align the community group, innovation and district grant cycles so that all are considered in a similar window of time, rather than throughout several months, eliminating the chance that a community group will be funded a larger-than-budgeted amount before the district grants are considered. Jones said the allocation model put in place during the current year and the changes for next year represent better communication among all stakeholders. “The (allocation) model serves a very nice purpose to have everyone feel like they’re going to get their piece of the pie,” Jones said. Meeks said he’s appreciated the willingness of Jones, who was named Education Fund Board president in the fall, to meet with district officials and listen to their side of things. “I’ve appreciated his willingness to listen and work to find solutions while wading through two decades of history,” Meeks said. Today, money from the Education Fund represents more than 11 percent of the Steamboat Springs School District’s annual revenue, much of which is used for recurring costs, allowing class sizes to remain small and the district to stay up to date with new technology. Jones said he’s hopeful the district will consider potential mill levy overrides or other options to fund all-day kindergarten or technology infrastructure in the near future, which would free up more of the fund’s money for new grant requests. The half-cent sales tax was last renewed by voters in 2008 for a period of 10 years ending in December 2019, and Fund Board members will consider in the coming months when to put the tax on the ballot for renewal. Who’s on the Education Fund Board and Grant Commission?